Use the integration with Google Forms to funnel submissions from web forms to your projects in Asana. 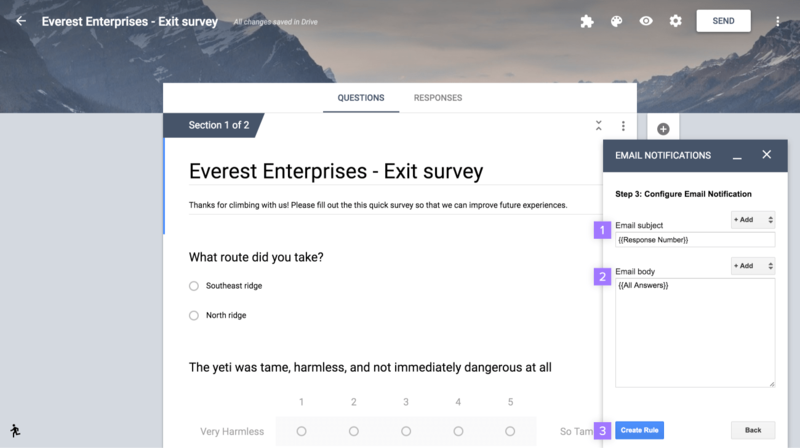 Use Asana’s Email Integration to send responses from Google Forms to your projects in Asana. 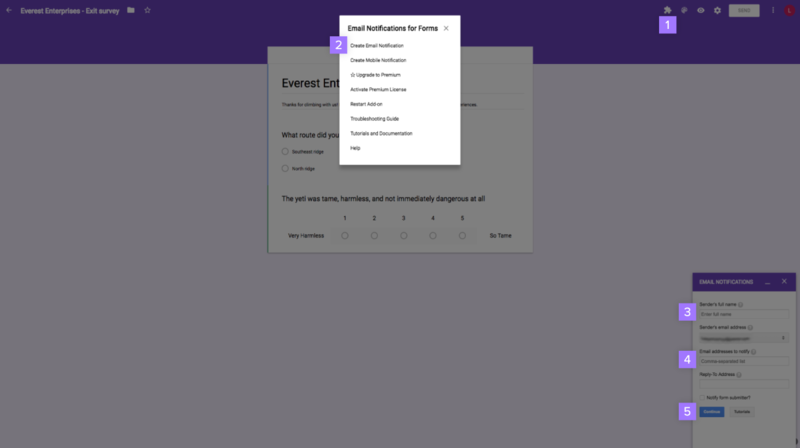 Install the Email Notifications for Forms add-on for Google Forms. The Sender’s email address will have to be associated with an Asana account that has access to your project. Use the + Add dropdowns to insert modular data from the response in the subject line or body of your Email notification. Once you’ve created this rule, a task will be be added to your project for every submission that your form receives.